Inside Our Call on #ChinaSlowing & the "Shanghai Accord"
Some of the world's sharpest investors have been warning about a blow-up in China's economy for some time now. The staggering size of China's $29 trillion in credit outstanding (up by almost $3 trillion in the past year alone) alone raises alarm bells. To put that $29 trillion into perspective that's more than the U.S. and Europe combined heading into the global financial crisis. What did these investors miss? 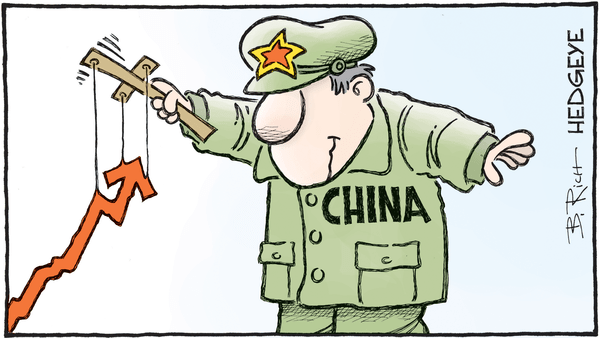 And why is Hedgeye now calling for a Chinese economic slowdown? To understand our current call on #ChinaSlowing, you have to think deeply about the global growth slowdown from 2015 to mid-2016. Back then, the U.S. economy slowed from 3.8% year-over-year in 1Q 2015 to 1.2% year-over-year by 2Q 2016. 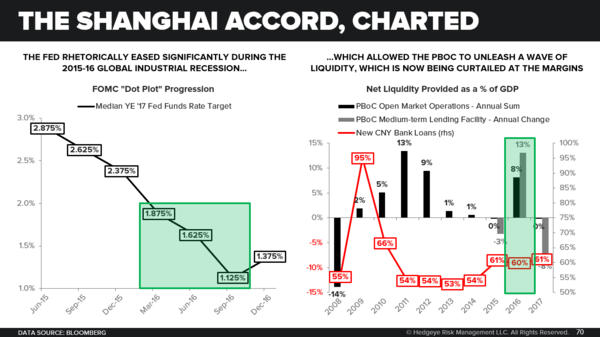 This global growth slowdown perpetuated what would become known as the "Shanghai Accord." The Fed lowered it's U.S. growth projections and committed to "lower for longer" rates. Meanwhile, the Chinese, both the People's Bank of China and fiscal authorities, unleashed a wave of stimulus. In response to the aforementioned stimulus, nominal growth in China’s secondary industries – i.e. heavy industry, construction, etc. – rallied from an all-time low of +0.9% YoY in 4Q15 to a ~6 year high of +14.2% by 1Q17. 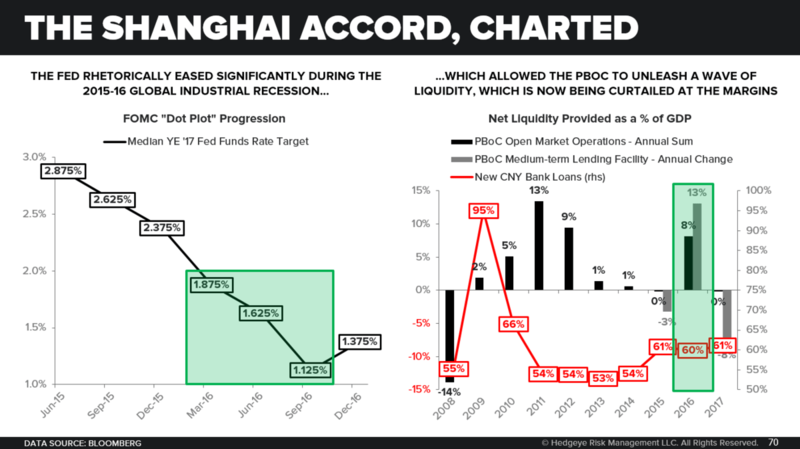 The consolidation of now-indefinite power by President Xi Jinping, the appointment of Yi Gang – an ardent proponent of financial stability – as PBoC Governor Zhou Xiaochuan’s replacement and the hawkish trend in Chinese CPI all imply Beijing is unlikely to be in a hurry to respond to the aforementioned slowdown with any meaningful stimulus initiatives. Key leading indicators within China’s all-important property market – namely price appreciation, demand trends and supply growth (in that order) – all point to a continued slowdown in the #OldChina economy with respect to the intermediate term. ***The investing implications are important. Subscribe to either Market Edges (our weekly macro newsletter with investing implications) or ETF Pro (our favorite ETF ideas) to get our #ChinaSlowing investing playbook.